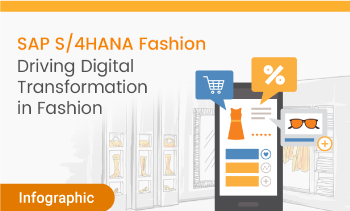 The S/4HANA fashion suite evolved from a collaborative initiative between SAP, attune and a few select customers and was rebuilt natively on the HANA platform to simplify processes and increase capabilities for wholesale, retail and manufacturing, centered on Real-Time Inventory Data. 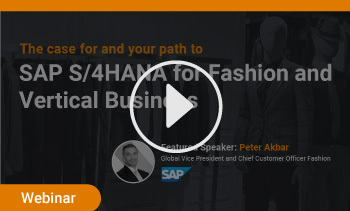 Peter Akbar, Global VP and Chief Customer Officer Fashion from SAP takes us through the case for and the path to S/4HANA for fashion and vertical business as well as address a few questions we've got from customers. 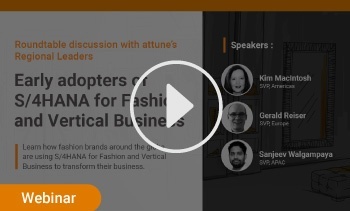 In this webinar, we sat down with our Regional Directors to talk about their experiences in the marketplace and find out how early adopters are handling their S/4HANA for Fashion transformation projects. 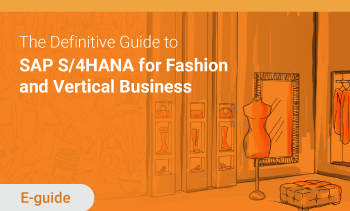 A comprehensive guide on what SAP S/4HANA for Fashion offers fashion brands. 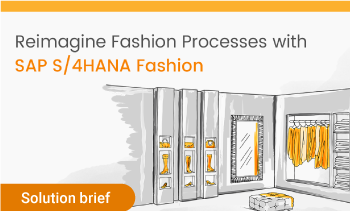 An accelerated, and cost effective solution that delivers all the benefits of SAP S/4HANA for Fashion. 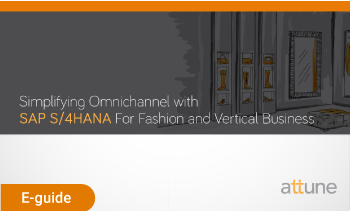 Since its launch, we've received many enquiries regarding SAP S/4HANA for Fashion and Vertical Business. 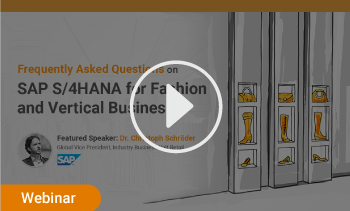 To answer the first set of questions, we invited Dr. Christoph Schröder, Global Vice President, Industry Business Unit Retail from SAP to join us. 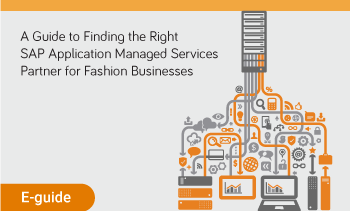 Q² Fashion Quality Management Solution is purpose-built for Fashion companies, centralizing all quality controlling processes into one single mobile solution. 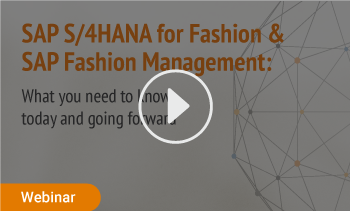 What's new on SAP S/4HANA for Fashion and Vertical Business? 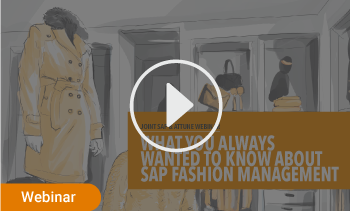 We've put this video together to bring better clarity to some of the innovative features for fashion and vertical businesses, available with the latest SAP S/4HANA 1709 release . 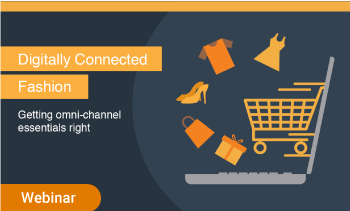 Learn how S/4HANA for Fashion helps fashion brands deliver multiple order fulfillment services to empower their consumers to buy, collect and return – anywhere, anytime. Discover how the platform works to bring different lines of business together, integrating wholesale, retail and e-commerce for a simpler, more successful fashion operation. 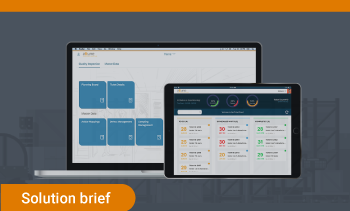 Orchestrate relevant responses to customer interactions and order fulfillmen by tapping into a single source of inventory, sales and customer data across all channels. 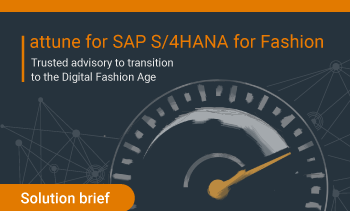 Learn how SAP S/4HANA for Fashion and Vertical Business serves as the engine for digital transformation. 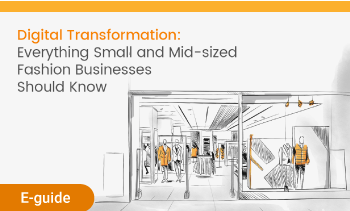 This guide will take you through the most significant opportunities mid-sized companies can leverage to compete with bigger retailers. 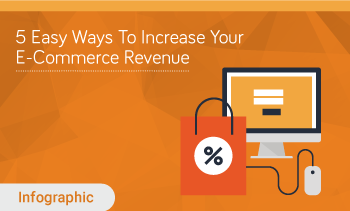 Etailers are losing revenue due to siloed systems. 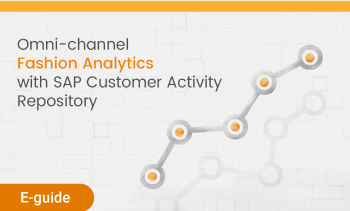 Discover how SAP CAR is revolutionizing brand engagement with customers by offering advanced analytics. 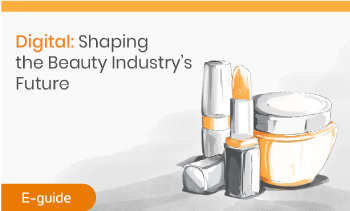 The guide explains the most significant trends and opportunities in the beauty industry and explains how brands can equip themselves to steer in the digital economy. 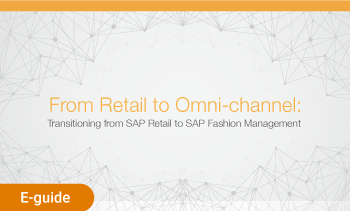 Identify and understand the primary challenge omnichannel shoppers present to fashion companies on SAP IS-Retail and learn how SAP FMS helps battle these challenges. 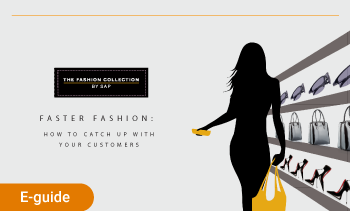 SAP’s new, ground-breaking innovation SAP S/4HANA will soon be introduced to the apparel, fashion and footwear world. Sign up to view our informative session and let us address some of the questions you may have. 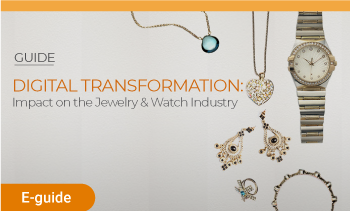 How can Jewelry companies adorn themselves to tackle the digital shift that is taking place? Read our guide to learn more. This guide outlines how retailers can not only calculate risk earlier, but plan and execute actions with extraordinary finesse and speed – turning even poor decisions into value, instead of getting sucked into the markdown vortex. 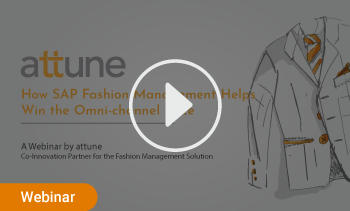 Explore how SAP Fashion Management helps address some of fashion industry's biggest challenges by enabling a customer-driven supply chain, supported by one single view of customer data and global inventory across all business channels. Style can transcend geographical, cultural and economic barriers – so how do fashion brands ensure their business network does the same? This guide show businesses how to overcome the challenges of international expansion by using technology to build an agile operational solution, which can be tailored to drive engagement in each market. Join Apparel Magazine and attune, as Jack Keating, former Vice President of Supply Chain at Timberland, explain how a “sense and respond” model can help fashion companies achieve greater organizational and process flexibility amidst volatile market conditions and fickle consumer behavior to build an adaptive, demand responsive supply chain. 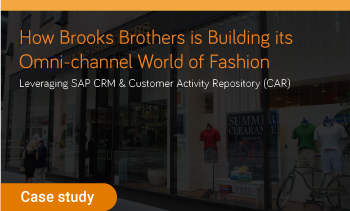 For decades, vertical fashion companies managed their businesses separately using two ERP systems – SAP AFS and IS-Retail, which has led to multiple challenges including data silos across the value chain. 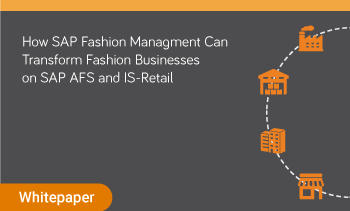 Learn how SAP Fashion Management streamlines wholesale/retail processes into a single integrated platform. 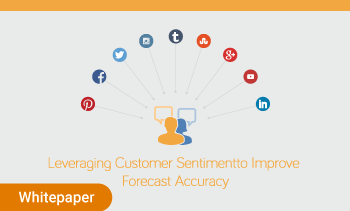 Sentiment Analysis delves into social data by going beyond commonly used Social KPIs such as number of mentions and followers. It processes words on social media platforms such as Twitter and Facebook to identify and understand consumer emotions and views towards brands or topics. 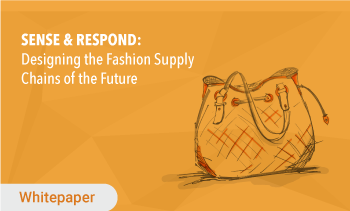 Our whitepaper outlines how fashion businesses can use customer sentiment to anticipate outcomes, whether it is a new product introduction or a marketing campaign. Fashion brands are now seeking the agility to better align their brand experience with consumer expectations, with the end-goal of matching fashion offerings with consumer preference in real-time. 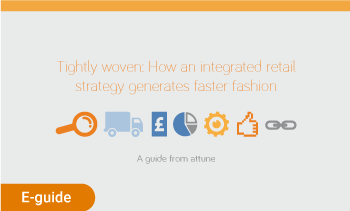 Our whitepaper explores how integrated processes can help transform your fashion brand into an adaptable global business while helping increase revenue, margin and efficiency. 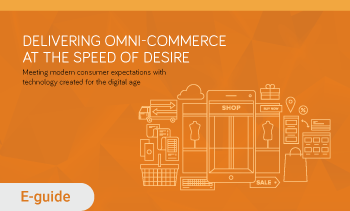 Omnichannel retail, vertically integrated channels and faster fashion are merging to reshape the industry faster than some retailers are able to respond. 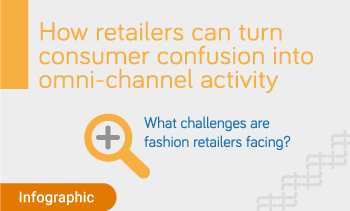 How retailers overcome these challenges will be the key differentiator between those who are winning and losing. Find out how. 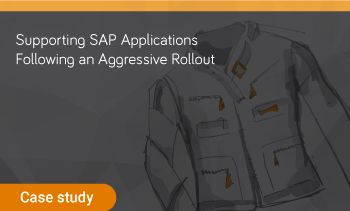 SAP Application Managed Service Providers have emerged as a powerful partner for IT departments, helping them meet challenges head on with strategic expertise and skillful resources. However, not all Managed Services partners have the same capabilities, so choosing the right one is imperative. The fashion industry is moving at its fastest ever pace, driven by the emergence and convergence of consumer technologies. 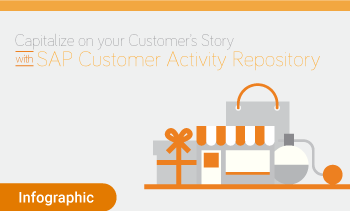 Find out how an integrated retail strategy can help. 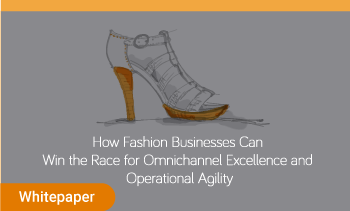 Fashion & Lifestyle Companies are experiencing increased complexities in their value chains which strain the S&OP process, making planning increasingly difficult. 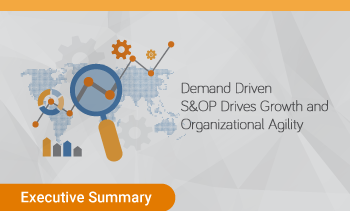 Download our Executive Summary to find out how Fashion & Lifestyle companies can learn about the value of a Demand-Driven S&OP as well as the role of S&OP and how it benefits the supply chain. 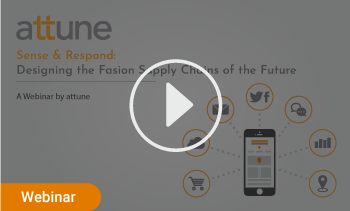 Find out how a large Apparel, Footwear and Accessories Trading company utilized attune's Managed Services to support an ambitious 4 year implementation. Although most businesses operate manufacturing, supply chain and merchandising efficiently, they do so as separate units. This means they cannot seamlessly manage garments from design to promotion, through every channel – which is essential considering the speed and volume of garments being produced. 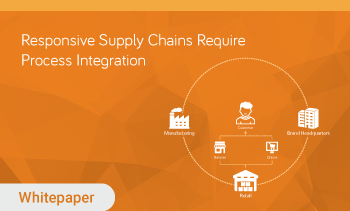 Find out how optimizing retail processes by integrating with wholesale and retail can help. Never before has a supply chain felt the presence of the consumer so intensely. As the consumer’s voice continues to penetrate and change the retail landscape, brands and retailers must re-innovate their supply chain models to sense, respond, and accurately align supply with consumer demand. 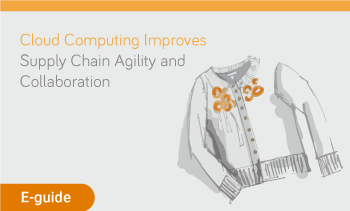 Supply chain technology is migrating to the cloud. As retailers continue to be challenged to lower operating costs and increase operational efficiencies, cloud-based solutions and applications are emerging as an attractive alternative to traditional software deployments, and achieving broader adoption, while delivering remarkable results. Learn how cloud computing is optimizing Supply Chain Performance by improving visibility and speedier decision making. Convenience plays a big role when customers are making their purchase decision. See how you can guide the entire customer experience with 5 must-have capabilities.